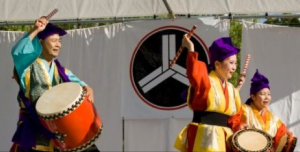 SANTA CRUZ — The 27th annual Japanese Cultural Fair will be held Saturday, June 8, from 11 a.m. to 6 p.m. at Mission Plaza Park (in front of Holy Cross Church), 103 Emmett St., Santa Cruz. Entertainment includes Okinawan music and dance. The purpose of the Japanese Cultural Fair is to provide an opportunity for the community to increase its awareness and understanding of the Japanese American community in Santa Cruz County as well as Japanese culture, both traditional and contemporary. “We believe that through the arts, craft, and culture of Japan, we can improve mutual understanding among neighbors on the Pacific Rim as well as enrich our community life here in Santa Cruz,” organizers said. Aikido of Santa Cruz, 306 Mission St. In the children’s section, kids can dress in kimono, have their name written in Japanese, and enjoy origami and many other activities. In March, JCF organizers said in a statement, “We did not receive a grant this year which in the past has been so necessary to bring the wonderful expressions of Japanese culture to the Bay Area. So we are ‘goin’ it alone.’ We’re not complaining (there are so many needing out there); rather we are offering an event where we can share some parts of the culture which has given so much to our country and culture, and hopefully raise some of the funds necessary to make this year’s fair happen. A benefit concert was held March 9 at the Pacific Cultural Center in Santa Cruz, featuring shamisen master Masahiro Nitta with Kyle Abbott (shamisen), Karl Young (shakuhachi), Shirley Kazuyo Muramoto (koto) and Brian Mitsuhiro Wong (koto). “Since we don’t charge for admission, we will need to count on the folks that have come and enjoyed the day … Please help us out. We’ve never had to ask before, and are working to not have to again,” organizers said. For more information or to make an online donation, visit www.jcfsantacruz.org/. Checks can be mailed to P.O. Box 3458, Santa Cruz, CA 95063.